Grow your own at a fraction of the cost of buying them at the supermarket! 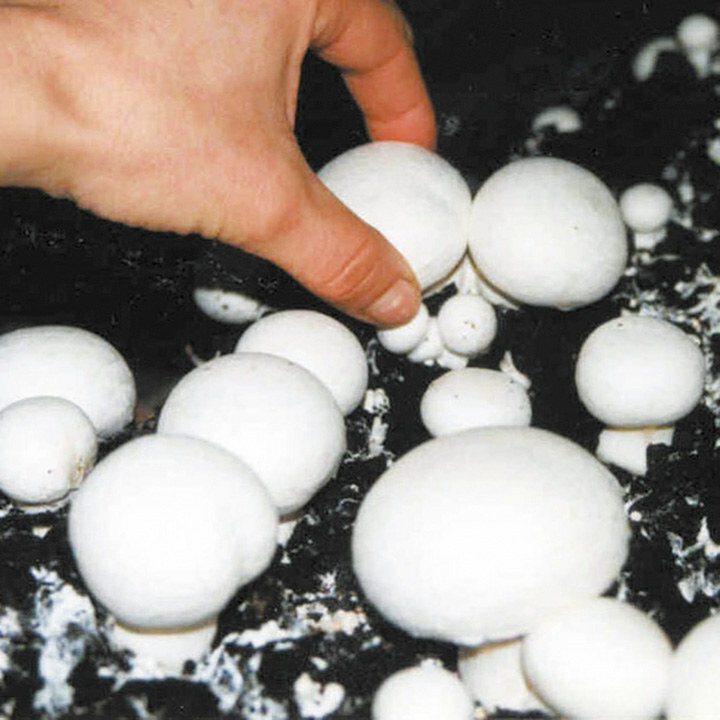 They can be grown in any well-ventilated place - eg. greenhouses, garden frames, sheds or cellars - in an air temperature of 10-18°C (50-65°F). A suitable growing compost may be made from stable manure. Each pack contains sterilised grains incubated with mycelium of Agaricus bisporus (White Button Mushrooms) in a breathing Microsac bag plus full cultural instructions. Grow your own delicious, pure white button mushrooms throughout the year! 50g Pack - to spawn 0.25m2 (ie. approximately 15kg of substrate). 100g Pack - to spawn 0.5m2 (ie. approximately 30kg of substrate).